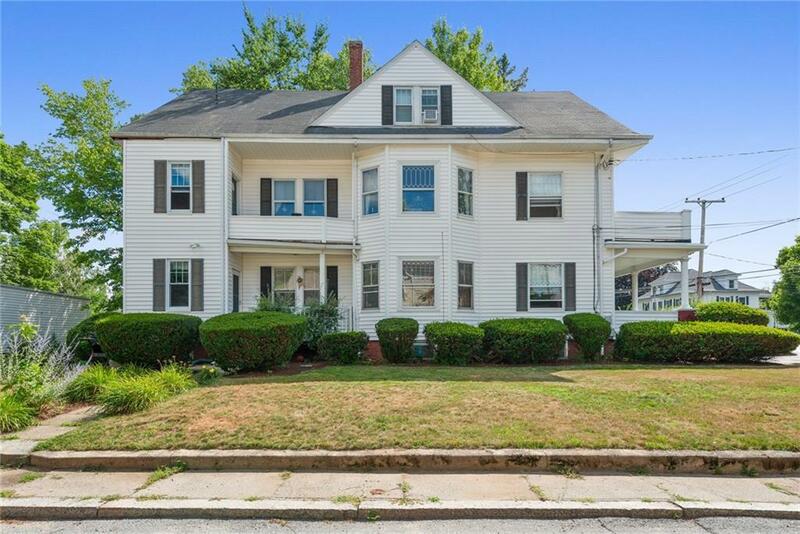 Spacious 3 - family residence situated on a corner lot near the North Smithfield line and surrounded by well maintained homes. All 3 units offer 2 bedrooms on each floor, gas heat, 65% of the home's windows have been replaced, hardwoods, open parlors with beautiful mill work on 1st and 2nd floors, updated electrical and up to date hardwired fire coded. New 40 year architectural roof on main house and 75% new roof over garage. Off street parking and a 2 car garage on a .24 acre lot. This is an awesome opportunity for a owner occupied buyer and or investor. No time like the present -- home owners have a 44% higher net worth over time than renters !! !